A time-series plot displays the time-based frequency of a variable in a graph. 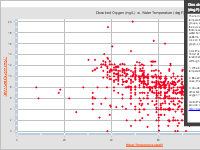 The y-axis (vertical) will display number-based variables you choose. Colors will distinguish the variables if you choose more than one. The x-axis (horizontal) will always display a time period. 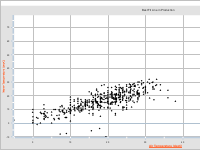 A scatter plot displays two variables on a graph. 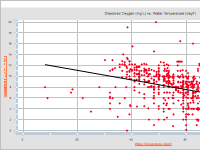 Both the y-axis (vertical) and x-axis (horizontal) will display number-based variables you choose. 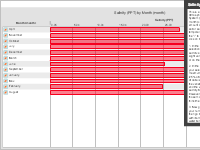 If you choose a category variable, the information will appear as you mouse over a point in your graph. 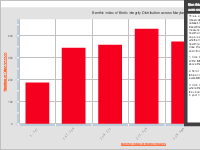 A histogram displays the frequency of a variable in a bar chart. The y-axis (vertical) will always display the number of observations. 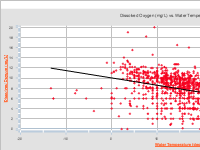 The x-axis (horizontal) will display the number-based and category variables you choose. Colors will distinguish the variables if you choose more than one. 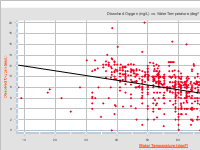 A range-comparison plot (sometimes called a box plot) displays variables in their quartiles, or rectangular-shaped sets of data values. 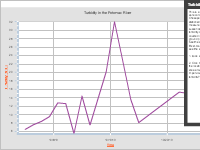 The y-axis (vertical) will display a category variable you choose as a list. If you choose more than one category variable, the information on variable will appear as you mouse over a quartile. 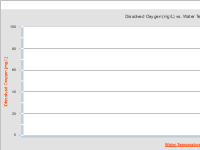 The x-axis (horizontal) will display a number-based variable you choose. Here, the math checks out but the equation presentation is off. Here is a graph I want to share.